A couple of weeks ago I wrote a review on the Majacraft Fusion Engine Drum Carder, and I thought it might be a good idea to follow that up with a video showing some of the cool features it has. One of these features is a special favourite of mine, partly because I had a role in its development! When I was out in NZ in 2013 I was able to use the prototype carder that Majacraft had developed at that stage. It was pretty much as you see it now (although there have been invisible changes and ‘tweaks’ since then), and there has since been one addition that I am very proud of, the Direct Injection Tray. 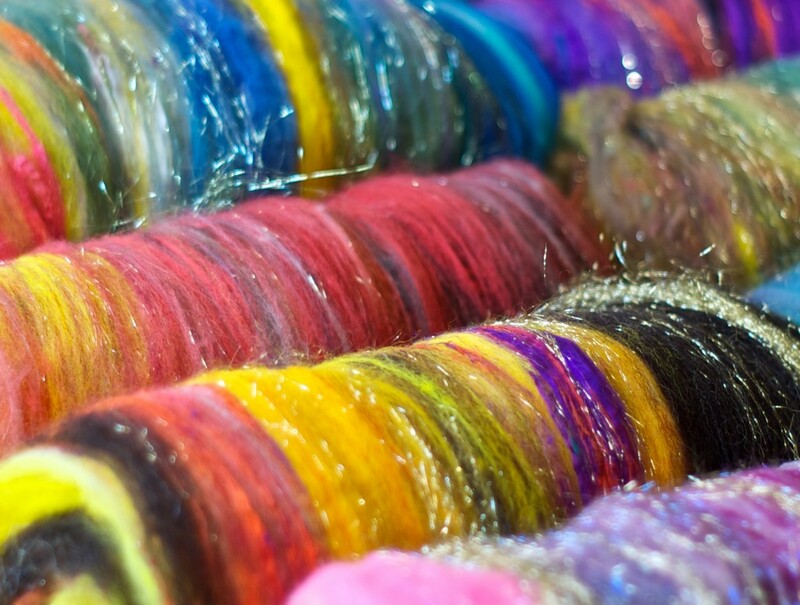 This is an accessory for the carder that allows you to make super textured batts for creative yarns. It came about as I was playing around with the carder, Andy had asked me to put it through its paces, (he also told me to try and break it because they needed to know it would handle anything that was thrown at it.) I had made some lovely smooth and blended batts on it, and then wanted to make some really textured ones, with lots of locks and add ins. I figured if it was going to break, it would happen if it got jammed up with lots of fibre. I found that the carder was actually so very efficient, it was difficult to get it to ‘stop’ opening up the texture in the locks I was feeding in, as it beautifully spreads them out over the big drum in even a single pass. I looked at the clever design with the feedtray placed up high and how it increased the time fiber spends on the licker by feeding it in at the top. So I bypassed that tray and held the fiber at the bottom of the licker-in to see what would happen. And there it was! From that position the fiber gets whacked directly onto the main drum, retaining most of its textured locky glory! I told Andy about this and suggested that it was an ideal position for feeding in ‘fiber sandwiches’, stacks of fiber that effectively stash the textured stuff between two smooth layers. In no time Andy had created the Direct Injection feedtray that allows this feed position to be used with no danger to fingers or fiber. And it works brilliantly! This feature gives me the option of creating any kind of batt I want on the one machine. 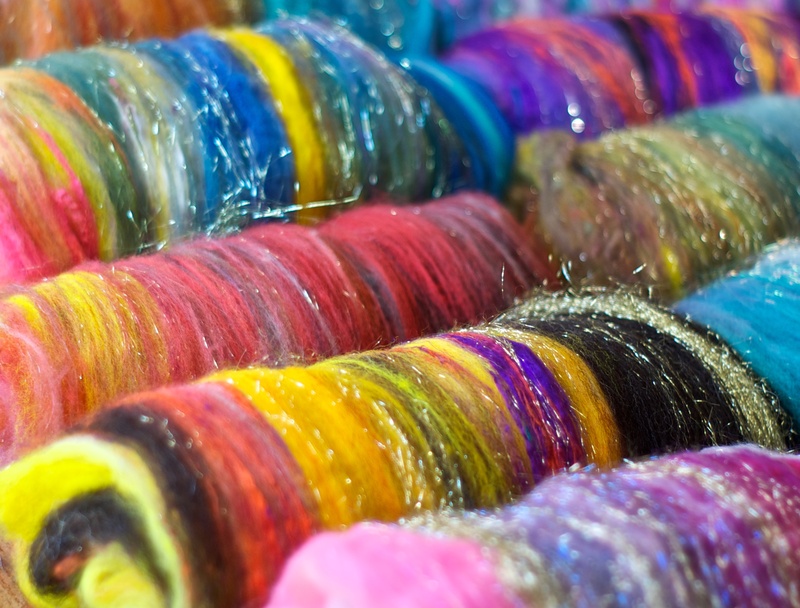 Using the standard 72tpi cloth I can create beautiful smooth blended batts AND crazy, highly textured fiber batts suitable for all kinds of creative yarn spinning. There is one thing that I really recommend doing when you use the Direct Injection tray: use your adjusters to move the licker drum as far back as it will go, this leaves a nice wide gap between the drums, which means firstly that your fibers wont get opened up too much, and secondly that they won’t jam up the carder when you feed that fiber stack in, your carder will continue to move easily and shouldnt need a lot of muscle power to turn. Once again Majacraft has created a tool with more adjustability than most others on the market. This is great, thanks for sharing! How large of a batt have you been able to make on the Fusion Engine? Amazed at how you fed the second pass batt through in one big piece! yes! Normally I would split the batt, but I wanted to keep those colours just the same. I could have split it from the side, which would help make the batt even smoother, but the carder just processed it just as it was, and smoothed it out nicely! Going slow is all it needed. This is a great video, now I want very badly to try one….thanks!! !